"I am human, only because you are human." Find passion in your work and discover the difference you can make in the world. 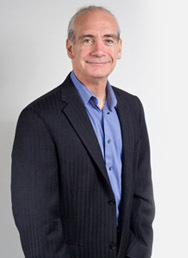 Alisdair is one of the most sought after coaches, facilitators and key note speakers in Canada. His mission is to support people in the vital work of changing their minds. Alisdair is a nationally known speaker who entertains and challenges audiences with real life stories, wit and wisdom. He is a master story teller, providing audiences with deep and profound lessons for work and life in the 21st Century. Alisdair is an internationally recognized facilitator who works with boards and senior management in a wide range of arenas; including strategic planning, brain-storming, material decision making and conflict resolution. Alisdair is often hired by organizations to help individuals who want to move to the next level in their career, and need to focus on particular skills and competency development areas before they can successfully take on the added responsibilities. "My time with Alisdair provided immediate and sustained benefits and was not only fundamentalto acquiring my immediate objective but also serves me well in my personal life." Alisdair loves to work with individuals on their journey towards a balanced and fuller life. He uses a number of different proven and advanced processes and models in this work.